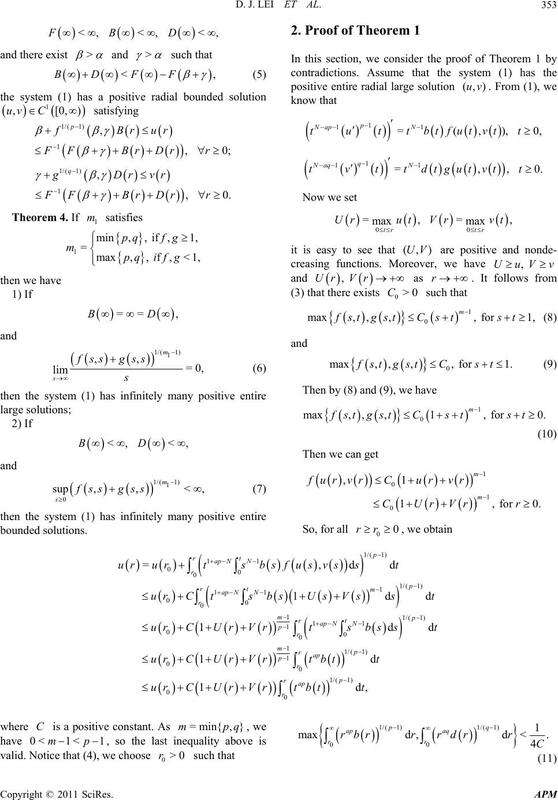 cay at infinity, then the system has infinitely many entire solutions, which are large or bounded. Higher Education Institutions of China (No.08KJB110005). D. J. LEI ET AL. then all entire positive radial solutions are large. 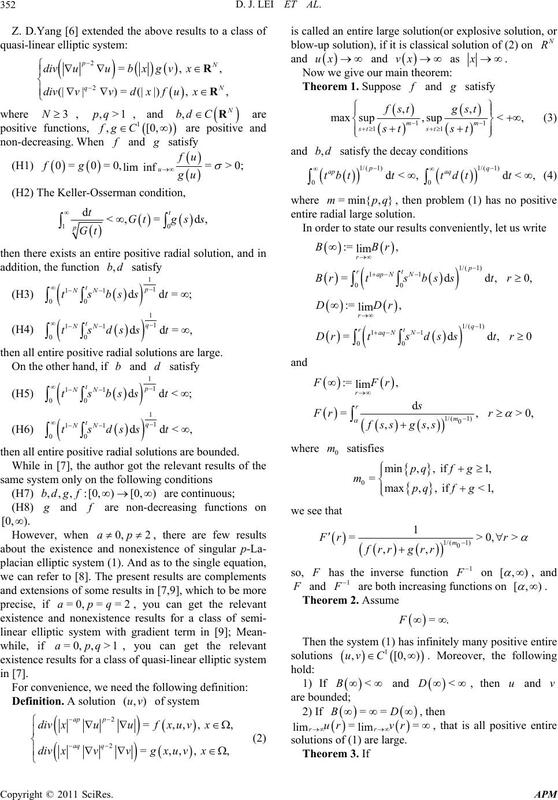 then all entire positive radial solutions are bounded. solutions of (1) are large. the proof is now completed. In the following,we will give the detailed proof. of the remark is completed. solutions of (1). 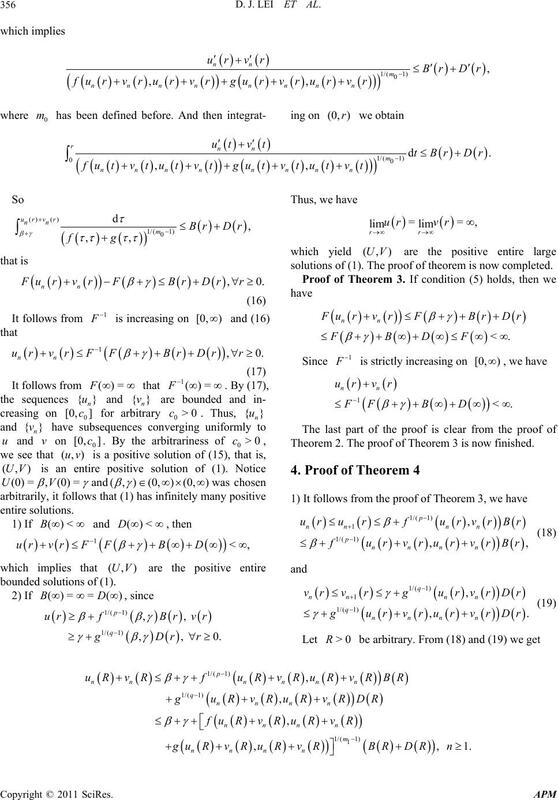 The proof of theorem is now completed. Theorem 2. 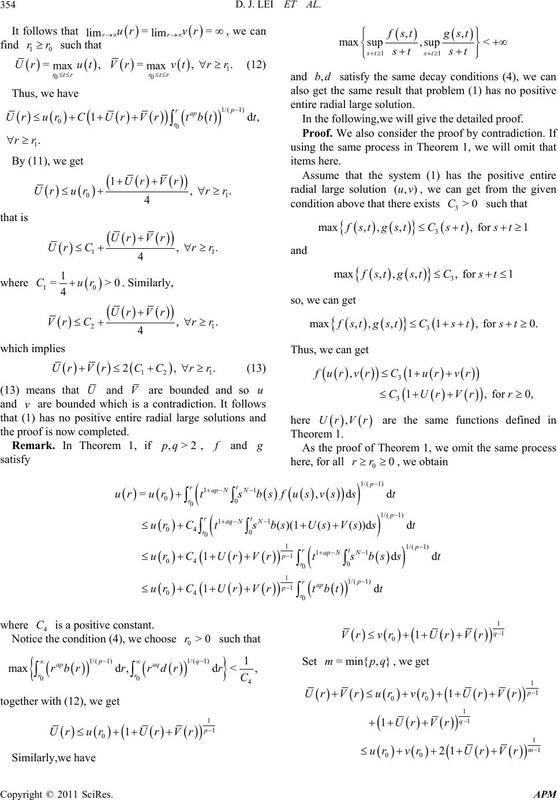 The proof of Theorem 3 is now finished. Then is a positive solution of (14). 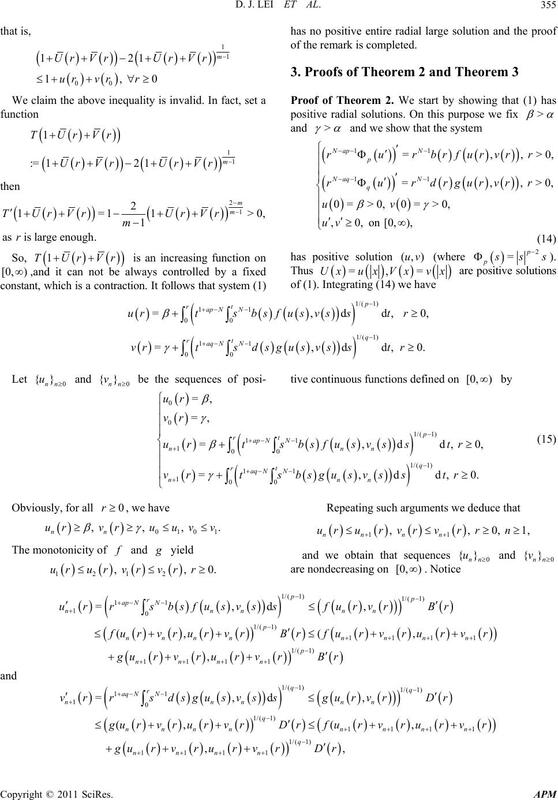 and so is a positive entire large solution of (1). 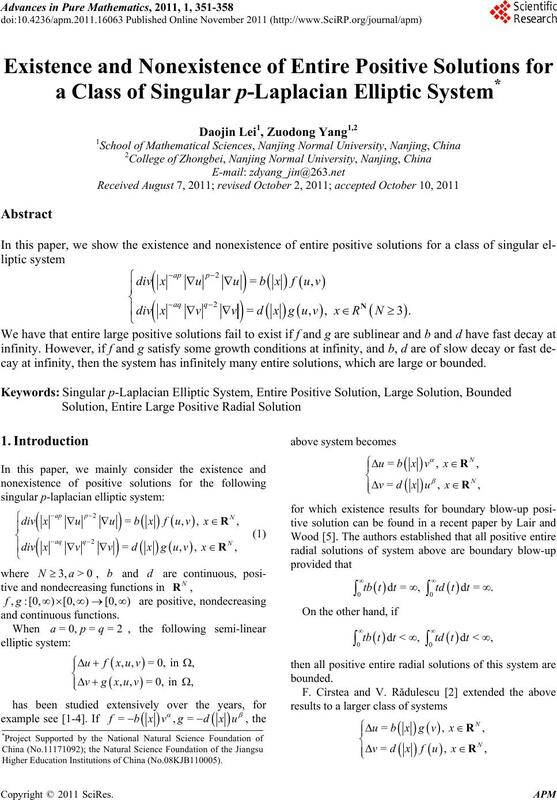 bounded solutions. The proof is completed. similar, so we omit here. which led to improvement of the present paper. Vol. 38, No. 7, 1999, pp. 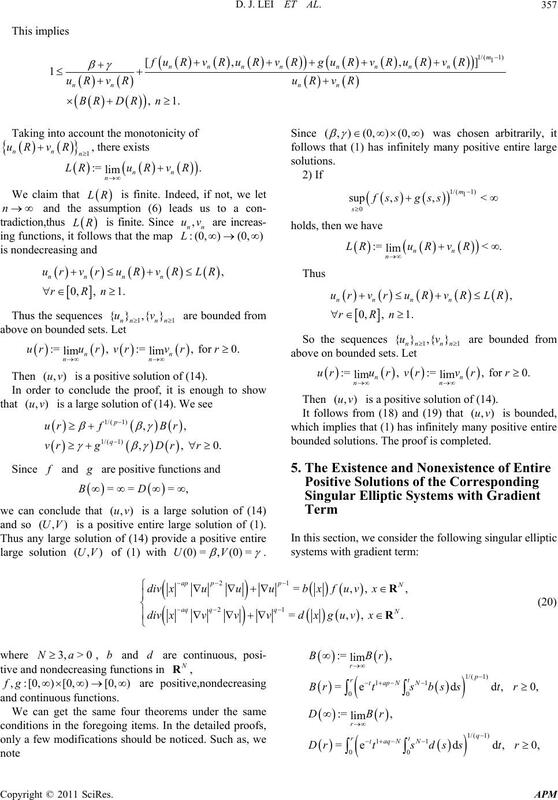 919-932.
nal of Differential Equations, Vol. 1, 1998, pp. 1-27.
nal of Differential Equations, Vol. 164, No. 2, 2000, pp. tions, Vol. 288, No. 2, 2003, pp. 768-783. No. 1, 2010, pp. 43-50. Vol. 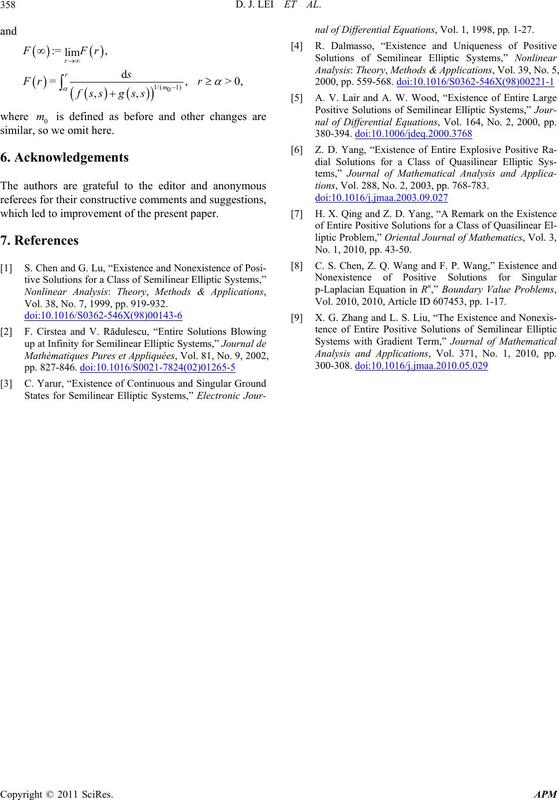 2010, 2010, Article ID 607453, pp. 1-17. Analysis and Applications, Vol. 371, No. 1, 2010, pp.